The Office of Student and Enrollment Services is here to assist you in navigating you way to certificate and degree completion. We provide opportunities for students to develop personally and socially through active engagement in experiences such as community service, career exploration, student life, and athletics. 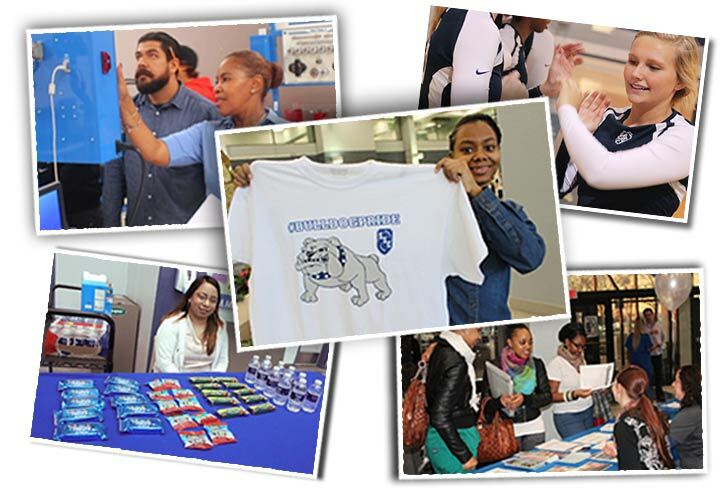 Student and Enrollment Services promotes personal growth, academic achievement, and cultural diversity. Dedicated staff prepare students to be knowledgeable, responsible citizens who demonstrate a commitment to lifelong learning, ethical behavior, personal achievement, and community involvement. We strive to create and promote an environment in which students can develop into mature, well-rounded citizens who are self-disciplined and aware of the lifelong process of education. Our programs and services provide opportunities for leadership and promote a climate conducive to intellectual enrichment while fostering respect for diversity. The Division of Student and Enrollment Services is committed to the overall development of students, providing programs and services that empower students to achieve their educational goals and personal potential. From recruitment to graduation, the vision of the Division of Student and Enrollment Services is to help every member of our learning community succeed. For more information on the Office of Student and Enrollment Services, please contact Azeal Branch at 708-596-2000 ext. 2303.